Largely unknown but a very undemanding North American native species that will naturalize when happy in a climate that is not too cold. The funnel-shaped flowers, which are arranged in an umbel, open up one at a time so the flowering period lasts for quite a while. 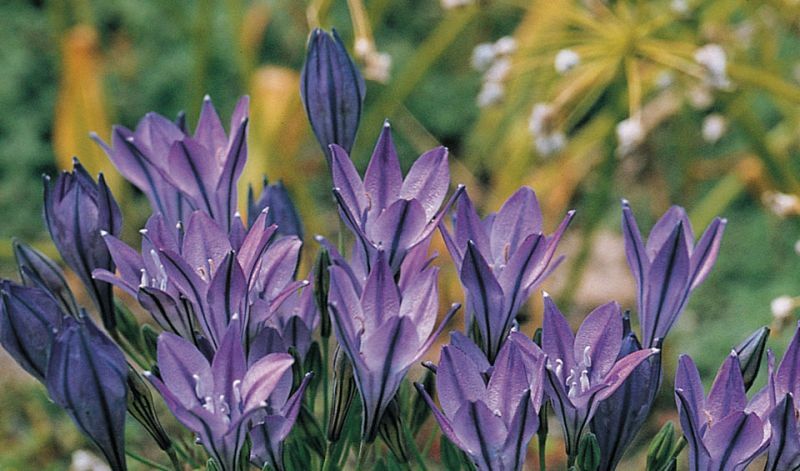 In borders, rock gardens, amongst low-growing perennials and as cutflowers. (Besides the species itself); 'Queen Fabiola' (intense blue-mauve). Native to Western North America, from British Columbia southwards all the way to Guatemala, but they are most common in California.